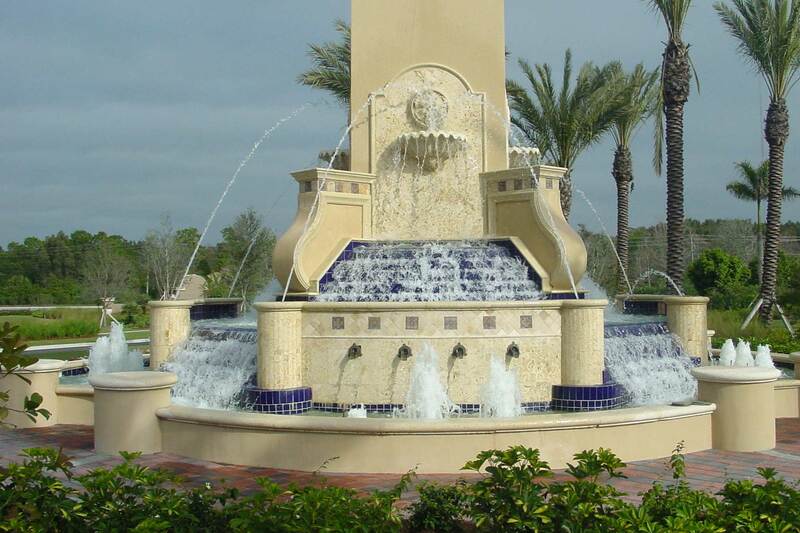 The Palmira Golf & Country Club is home to several water features. The fountains at Palmira Golf & Country Club are both attractive and practical, providing beautiful landscape features for the club’s guests. 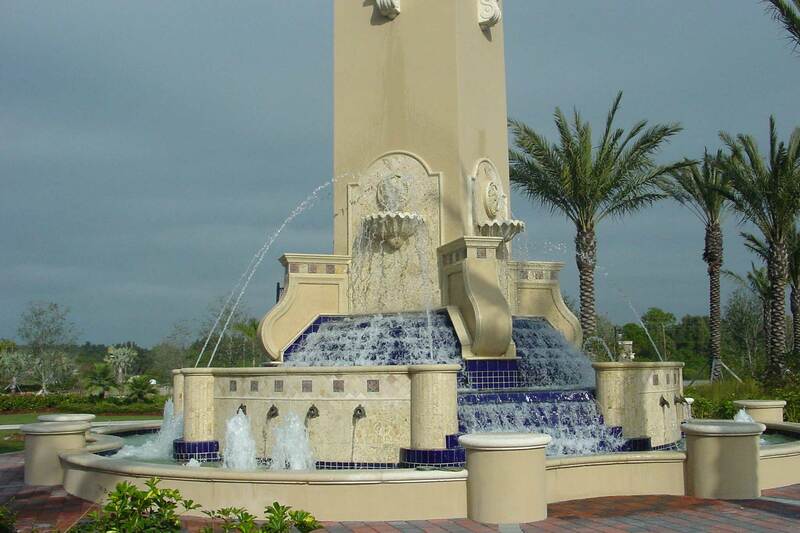 Delta Fountains created several water features for Palmira, including an architectural tower, floating geyser fountains and floating multi-jet fountains. 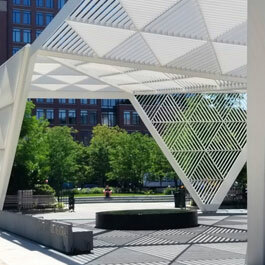 The architectural tower, entry fountain serves as the community’s landmark, offering a welcoming impression to residents and guests. 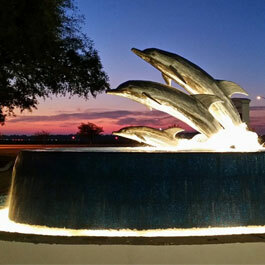 The tower entry fountain uses several types of displays. 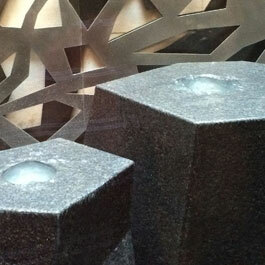 At the base, frothy aerated water gushes out of the cascade nozzles, while gentle streams flow from the bronze scuppers. 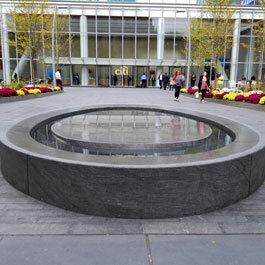 Smooth bore nozzles send jets of water arching into scalloped basins. Water then spills over the basins and aerates as it flows down several beautifully tiled steps.